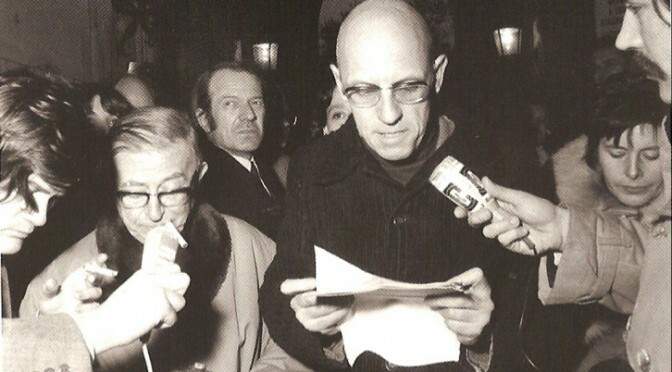 On February 8, 1971, Foucault and a group of other activists issued this now famous statement on the conditions of French prisons during a press conference. The organization, Groupe d’Information sur les Prisons (Prison Information Group), sought to disseminate information on the French prison system. They interviewed prisoners, family members and guards and published their findings in pamphlets to spread awareness about the inhumane conditions prisoners were forced to live in. Below is the original 1971 statement, as translated by Stuart Elden and posted to his blog. We have re-published it, with permission. Read his notes about the translation here. None of us is sure to escape prison. Today less than ever. Police control [quadrillage][i] over day-to-day life is tightening: in city streets and roads; over foreigners and young people; it is once more an offence to express opinions; anti-drug measures increase arbitrarily. We are kept under ‘close observation’ [Nous sommes sous le signe de la «garde à vue»]. 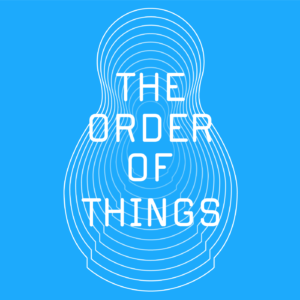 [ii] They tell us that the system of justice is overwhelmed. We can see that. But what if it is the police that have overwhelmed it? They tell us that prisons are over-populated. But what if it was the population that was being over-imprisoned? Little information is published on prisons. It is one of the hidden regions of our social system, one of the dark zones [cases noires] of our life. We have the right to know; we want to know [Nous avons le droit de savoir, nous voulons savoir]. This is why, with magistrates/legal officers [magistrats], lawyers, journalists, doctors, psychologists, we have formed a Groupe d’Information sur les Prisons. We propose to make known [de faire savoir] what the prison is: who goes there, how and why they go there, what happens there, and what the life of the prisoners is, and that, equally, of the surveillance personnel; what the buildings, the food, and hygiene are like; how the internal regulations, medical control, and the workshops function; how one gets out and what it is to be, in our society, one of those who came out. This information is not in the official reports that we have found. We will ask those who, for some reason, have an experience of the prison or a relation to it. We ask them to contact us and tell us what they know [ce qu’ils savent]. A questionnaire has been compiled which can be requested from us. As soon as we have sufficient responses, the results will be published. It is not for us to suggest reform. We merely wish to know [connaître] the reality. And to make it known almost immediately, almost overnight, because time is short. This is to inform opinion and to keep it informed. We will try to use all means of information: daily [newspapers], weeklies, monthlies. We therefore appeal to all possible platforms. Finally, it is good to know what threatens us, but knowledge is also good to defend oneself [Enfin, il est bon de savoir ce qui nous menace; mais il est bon aussi de savoir comme se défendre]. One of our first tasks will be to publish a small Manuel du parfait arrêté (Complete Arrest Guide), paired of course as an Avis aux arrêteurs (Note for Arrestors). All those who want to inform us, be informed or participate in the work can write to the GIP at 285, rue de Vaugirard, Paris-XVe [Foucault’s home address]. [i] Quadrillage is a grid-like systematic division and control of an area. 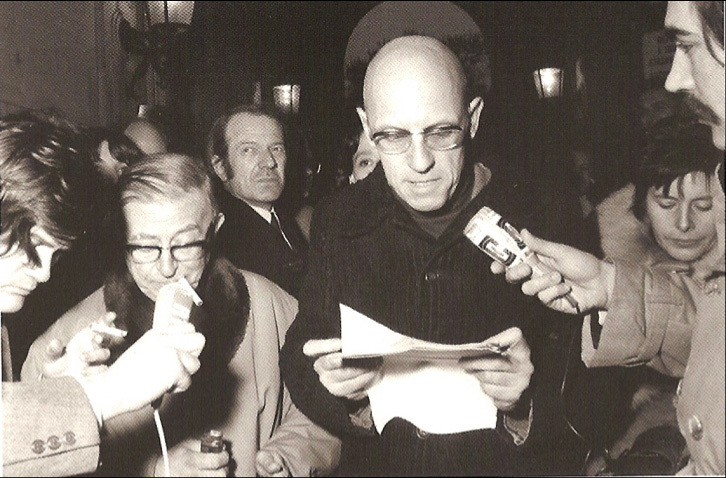 [ii] David Macey notes that Garde à vue “refers to the common police practice of holding people without charge for a period of up to twenty-four hours” (The Lives of Michel Foucault, p. 515 n. 1). In the 1970s the British army imprisoned Northern Irish Catholics without trial in a policy known as ‘internment’. However neither detention nor internment capture the visual sense of the French term.